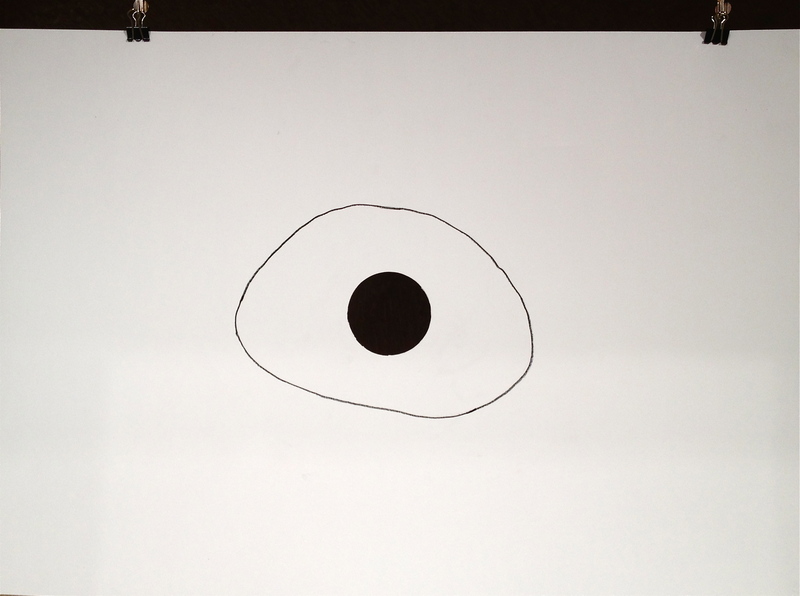 A drawing is suspended in an alcove space whereupon a simple line loosely encompasses a centrally located dark disk form. However, as a person approaches the drawing one begins to question the reality of the dark disk. The darkness is compelling as a visual form in contrast to the singular line surrounding it. One can confirm the line value encircling the disk but the disk itself is an unknown darkness. The line exists upon the paper but does the disk appear as surface or the deep space it suggests. As one wants to confirm their sense of illusion or reality, one reaches out to touch the dark disk. Whereupon one realizes and experiences the disk being empty space. The paper object then becomes both sculpture and drawing .